Now it has become effortless and affordable to go from West Palm Beach to Orlando by using shuttle transportation service. West Palm Beach to Orlando, shuttle transportation service, is one of the most convenient ground transportation shuttle services in the state of Florida. Also, by using our private city to city transport; Now you are able to go to 40+ cities we work within the state of Florida with joy and comfort. Our shuttle transportation service serves in all the main cities in the Florida State by the most usually used highways i-75, i-95, i-4, and Florida Turnpike. Here, you can know about how to move economically from West Palm Beach to Orlando by using a shuttle transportation service. By utilizing our shared shuttle transportation service from West Palm Beach to Orlando, you can travel with comfort and convenience to all the main towns we serve in the East Coast of Florida state at the most reasonable fare. By using our most flexible and reliable private shuttle transportation service, you can go to your desired city everywhere in the Florida state. Our private shuttle transportation service allows you to choose your own time and location of pick up and drop off. It’s like owning your personal cabdriver at your own time. 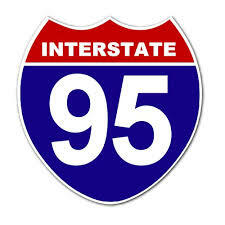 The Interstate 95 is one of the most usually used highways that almost all shuttle transportation providers use for their city to city transits from West Palm Beach or many other cities in the East coast of Florida. Our shared shuttle transportation service from West Palm Beach to Orlando goes once a day seven days a week. Our shared shuttle leaves from West Palm Beach at 02:00 PM and arrives in Orlando at around 05:30 PM. On its way to Orlando, it also meets Jupiter, Port St Lucie, Fort Pierce, Vero Beach, Melbourne, Port Canaveral, and Kissimmee. Furthermore, afternoon shared shuttle will even possible only on special request, OR you can use our private transportation service from West Palm Beach to Orlando in case if you want to have the journey at your own time. 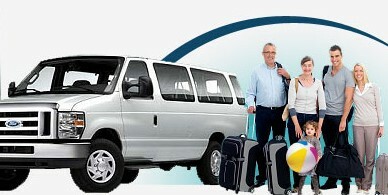 You can get in contact with the West Palm Beach to Orlando transportation company here.